The Mat King Grappling and Judo mat was designed to take the throws of Judo, Aikido, Hapkido, Jujitsu, and similar martial arts disciplines. Official Judo mats are the preferred mats for major tournaments worldwide such as Olympic Games, world championships and European cups events. The mats have become popular in schools and dojos nationwide because they provide competitors the opportunity to work out on the same mat as they will compete on in even the major tournaments. Sometimes, they are referred to as Grappler Mats. Top quality materials and superior workmanship guarantee years of use. High density polyurethane foam makes them terrifically durable and super resilient. Rubber waffle anti-slip bottom is permanently attached. 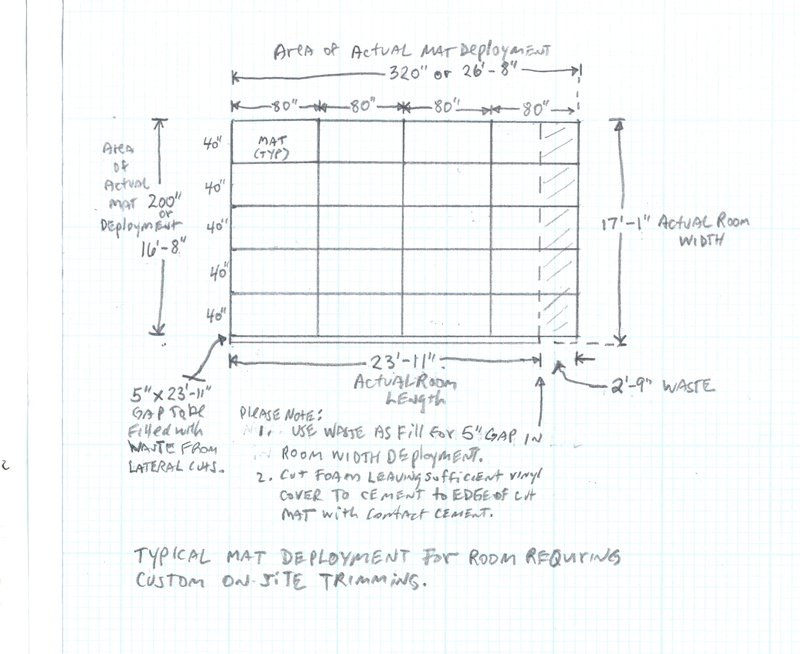 Typical Layouts for Official Judo Mats and Mat Requirements (each layout requiring 80"x40" mats in colors indicated). Colors: Blue, Green and Red are stocked. Yellow and Grey are available on special order. Weight: 50 pounds per 40"x80" mat; 25 pounds per 40"x40" mat. Packed: 50 mats per pallet; Class 70. Prices are exclusive of shipping. Please provide dimensions of area to be covered and "Ship To" city, state and Zip Code for custom quotation. Deliveries to NY, CT and NJ will have applicable Sales Tax added to Invoice.